Broad shoulders make a man look virile, desirable and powerful, notes body language expert Joe Navarro in "Psychology Today." On the other hand, women outside of the bodybuilding community may lament broad shoulders because they can make clothing hard to fit and give their physique a masculine appearance. A man can determine if he has broad shoulders with a few easy measurements, but for women, it's more a matter of look and opinion. 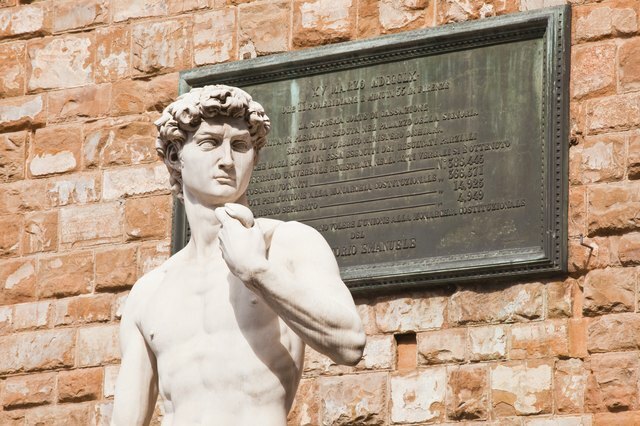 Ideally, broad shoulders on a man are 1.618 times the size of his waist, as depicted by pictures of the quintessential male form through art and photographs -- think of the statue David or pictures of Olympians. Men can easily use a tape measure to determine their own ratio. For example, a man with a 32-inch waist would need shoulders that measure 52 inches to fulfill this ideal. 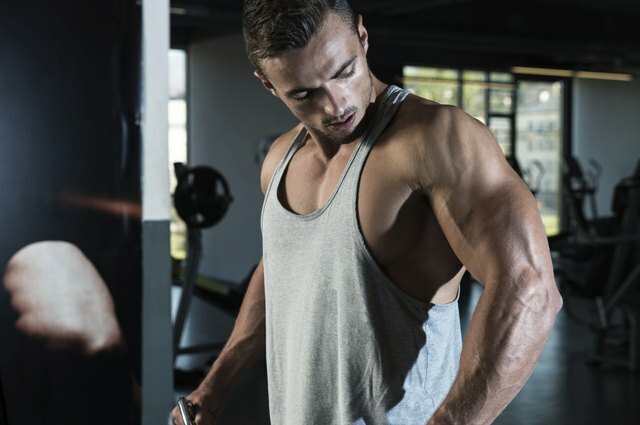 Men can create broader shoulders by building muscle, particularly in the upper body, with moves such as pullups, chest presses and military presses. Women don't have an ideal ratio of waist to shoulder to aim for, as do men, but can get a general idea if their shoulders balance their overall physique. A woman can quickly identify whether or not her shoulders are broad by looking at the shape of her torso when her arms hang naturally. Broad shoulders are likely if her shoulders look like they're squared off at a 90-degree angle, with a noticeable bony protrusion, rather than rounded. A woman whose torso resembles a V-shape -- wide at the top and narrow at the waist -- likely has broad shoulders, too. Christopher Hopkins, author of "Staging Your Comeback: A Complete Beauty Revival for Women Over 45," suggests cutting a string to measure the length of one yard and then tying a heavy washer or weighted object to one end. Hold the loose end of this string at your shoulder joint and let it hang down. If the string falls outside your hip line, your shoulders are considered broad. If the string falls inline with your hips, your shoulders are well balanced with the rest of your frame.